World number three Roger Federer must beat South Africa's Kevin Anderson in his last group match to make the semi-finals. Roger Federer staved off elimination from the ATP Finals as the six-time champion eased to a 6-2, 6-3 win over Dominic Thiem on Tuesday. After losing his opening match at London's O2 Arena against Kei Nishikori, Federer would have crashed out if he had been beaten by Thiem. Only once before has Federer failed to qualify from his group for the knockout rounds in his 15 previous appearances at the prestigious season-ending event. That lone flop came 10 years ago when the Finals were held in Shanghai and Federer is still in with a chance of avoiding that ignominious fate thanks to his comfortable 66-minute dismissal of Thiem. 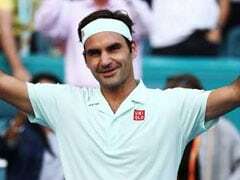 Bidding for a record seventh ATP Finals crown and a first in the tournament since 2011 -- which would be the 100th singles title of his glittering career -- world number three Federer must beat South Africa's Kevin Anderson in his last group match to make the semi-finals. "It feels good. 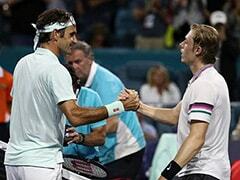 I am very happy that I showed a reaction after the last match," Federer said. 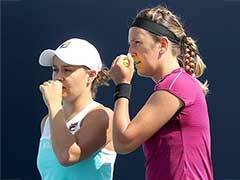 "Against Kei, instead of seeing things positively, I thought negatively. It was disappointing but it happens. "Today I was more positive and happy on the court. I love playing in London and I had to remind myself what a privilege it is. I hope I showed it." Since winning his 20th Grand Slam title at the Australian Open in January, Federer has been stuck in a prolonged slump by his sky-high standards. A quarter-final exit at Wimbledon, blowing a two-set lead against Anderson, was followed by a stunning US Open last 16 defeat to Australian journeyman John Millman. "It's never easy to play against him, especially indoors. He deserved that win at Wimbledon but hopefully I'll get my revenge," Federer said of his Anderson rematch. The 37-year-old's defeat in his opening Finals match against Nishikori on Sunday marked the first time Federer had lost in straight sets in 46 group stage matches. 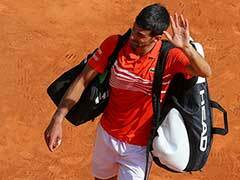 He responded to that setback by cancelling his practice session on Monday, sparking fears he was seriously hampered by a hand injury that has troubled him since the grass-court season in June and July. Having cut a grumpy figure during his error-strewn loss to Nishikori, Federer's spirits were lifted by this solid show, aided by Thiem's 34 unforced errors. After missing a break point in the opening game, Federer started to find his rhythm and he landed the first break for a 2-1 lead when the world number eight sent a forehand long. 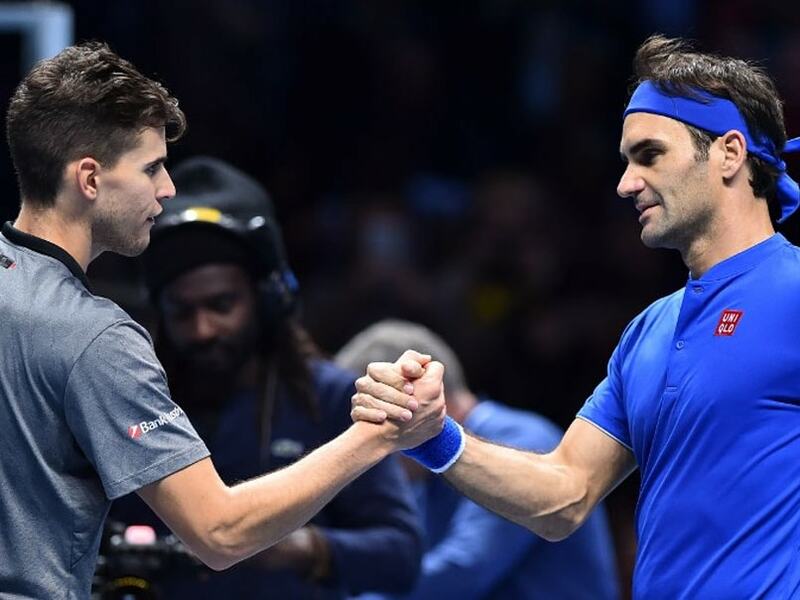 Another break followed in the seventh game as Thiem netted a tame volley as Federer won the first set with ease. While it wasn't vintage Federer, he was doing enough to take advantage of Thiem's sloppy display as the French Open finalist double-faulted to gift a break in the opening game of the second set. That was all the encouragement Federer needed as he cruised to the finish line. 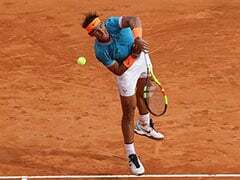 Earlier, Anderson handed Japanese star Nishikori a humiliating 6-0, 6-1 thrashing as the South African moved to the brink of a semi-final berth. Anderson won the first 11 games and needed only 64 minutes to demolish the woeful Nishikori. Having also won his opening match against Thiem in his ATP Finals debut, Anderson is close to becoming the first African to qualify for the last four. 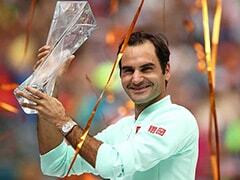 It was a landmark moment for the 32-year-old, who has set a new career-high of 47 victories in a calender year. He will rarely have had such an easy outing as this one throughout his memorable 2018, which saw him reach his first Wimbledon final in July. "It's amongst the best I've played. I did a really good job constantly applying the pressure and not letting up," Anderson said. Former US Open finalist Nishikori was at a loss to explain his performance, saying: "I played one of the worst matches this year. Today was a terrible match.